If a series of panicked articles are to be believed, the workation phenomenon is just the latest sign that work-life balance is a thing of the past. These articles argue that people are forced to work while taking their annual holiday because it’s now impossible to switch off. As we’ve previously pointed out, however, workations should be seen as distinct from vacations. Moreover, people take them for a number of complex reasons. Here are a few of them. Remote work is a reality for an increasingly large number of people. Online project management software and communication tools mean that there’s simply no reason for workers in some professions to go into a regular office. We tend to think of this phenomenon as benefiting working parents, allowing them to spend valuable time with their children. But if you don’t have children, working remotely offers the perfect opportunity to experience some incredible places without compromising on a salary. As long as you let your employer know what you’re doing and continue to meet your work obligations, does it really matter where you work from? Much as we’d all love to, not everyone can afford to take a year off for travel. The workation phenomenon makes it much more viable. 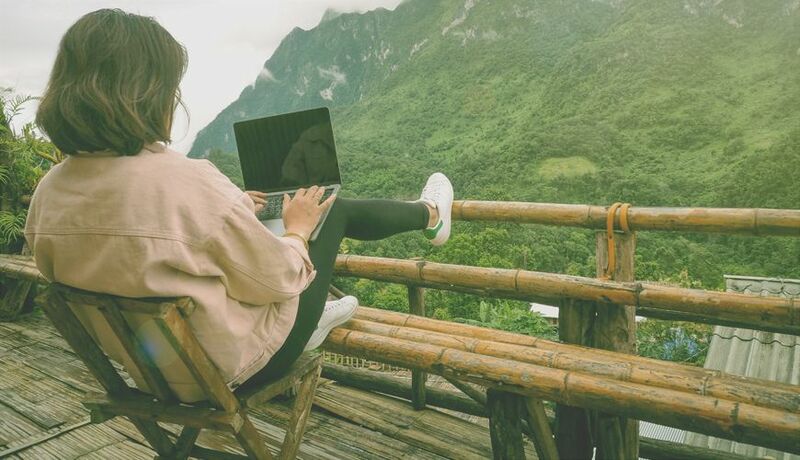 Even if someone doesn’t usually work remotely, they might be able to convince their company to allow them to work and travel at the same time. Like the experienced remote worker, they’d simply have to ensure they meet all their usual working obligations. And if they use their usual leave judiciously, they can take time out in each of the destinations they visit while on workation. Not every workation is about traveling to far-flung destinations. Sometimes people just want to see more of their own country. So, rather than hunting down cheap plane tickets and coworking spaces, they buy a camper van and ensure they have a great mobile internet package. In 2016, for example, Buffer data analyst Matt Allan – along with his wife and two dogs – packed their belongings up, hitched a caravan to their pick-up truck and set off on an epic road trip across the USA. “We have a growing awareness of how amazing the world is when you make time to explore it,” he writes of the decision to take a driving workation. “An awareness of how new experiences and places enable growth in ourselves”. No matter what kind of workation someone takes and no matter how long it lasts, there’s a good chance they’re at least partially motivated by the idea of experiencing new things and meeting new people. No matter how cool your office is, it can get stale after a while. In many organisations, this feeling of staleness causes people to leave. But if companies are open to the idea of workations, they can play to their employees’ need to experience new places and people without losing all the valuable knowledge they’ve accumulated. Travel has other benefits too, even when it includes work. The new perspectives an employee gets while traveling can feed back into the company, opening up new opportunities. The people they meet along the way meanwhile could be absorbed into the company’s wider business network, enhancing its ability to enter new markets. Employees are also likely to feel less stressed with a little time off from the office and, eventually, they might even miss the office. Have you ever taken a workation? What motivated you to do so? Let us know in the comments section below.